Some students will be missing from the public schools when classes resume after the new year. 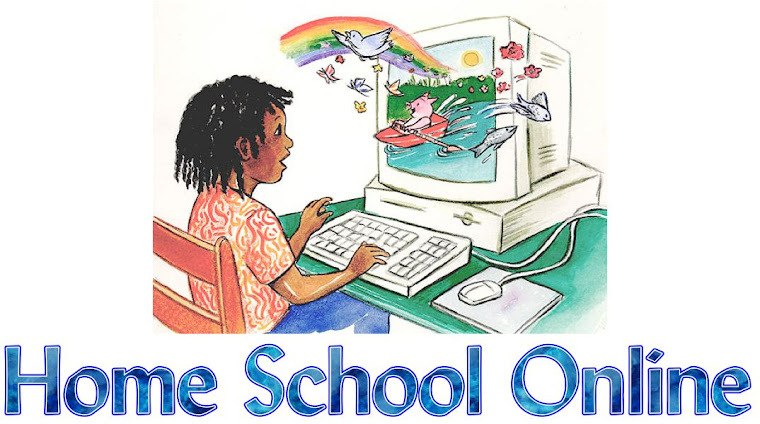 If questions posted on the Time4Learning parent forum are any indication, quite a few of them will be at home, engrossed in their online homeschool curriculum. Students who begin homeschooling in the middle of a school year do so for a variety of reasons. Parents whose children are perceived as being "behind" academically may feel pressure to help them catch up. If a child leaves the public school system for another reason, parents want assurance their student will be able to stay on track. If a student is thought to be behind, there is a temptation to fit a year's worth of education into the months remaining in the school year. The problem with this approach is that real learning takes place over time. "Cramming" often results in the student retaining the information studied just long enough to pass a test. This method does get neglected academic concepts checked off your list as having been presented to your student, but it's unlikely to be helpful to the child over the long term. Instead, it can help to step back and evaluate why the student is "behind". Few students struggle in every class subject. Is math the challenge? You may have to work backwards to determine if the child has missed learning a basic concept along the way. Many students become lost simply as a result of not learning the multiplication table thoroughly. It's frustrating and ineffective to try to accelerate learning of concepts a student already struggles with. It makes more sense to provide the foundation necessary to make understanding these concepts easier in the future. This is difficult for some parents (and children) to accept, because it requires slowing down instead of speeding up. If lack of writing skills is the culprit, homeschool writing help is available through courses like Time4Writing. Unlike a writing textbook, which provides little assistance to a parent in evaluating their student's work, Time4Writing provides daily, personalized feedback from a certified teacher. Remarks are personalized and encouraging, usually a welcome change to students who are accustomed to negative criticism concerning their school work. Does the student need help with reading skills? Students who read well do not necessarily understand what they are reading. There is no better method for improving reading comprehension than practice. Students should be allowed to read material that is enjoyable and meaningful to them and encouraged to discuss it with their parent/tutor. Parents and children are often reluctant to place a child at a lower grade level than might be expected for his age. It seems counterproductive to the goal of catching up. When missing foundational skills are the problem, getting at the root cause is more effective than trying to continue to build on a faulty foundation. This is why Time4Learning allows students to be placed in any grade level, regardless of age. Students can work at different levels in different subjects. Parents can choose to assign lessons in the recommended sequence or pick and choose lessons that cover areas where the child needs practice. Lessons can be repeated as many times as necessary or skipped altogether. Evaluating the problem, planning a course of action, and implementing your chosen method can feel like it's impeding progress at the beginning, but it helps accelerate learning in the future and can avoid further frustration. You might also be interested in reading My Child Isn't at Grade Level or Is My Child on Track? I have just begun homeschooling my two youngest, and I have started them on work that is too young. I thought that this would be a good way to assess just what level they are at, because the school has been less than forthcoming. It is just as well that I did this because it turns out my son struggles a little with work from the grade below, while my daughter is far ahead. Now I can suit the work to their level of understanding instead of them both doing the same work (too hard for one, too easy for the other).